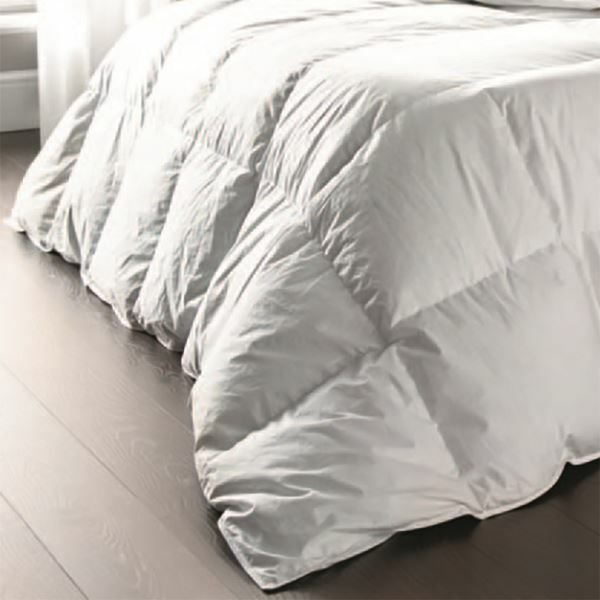 Luxury 4.5 tog lightweight summer duvet. Will be good when the weather warms up. Not warm enough for the time of year, so I bought the 10.5 as well, but will be using this in the spring. Light as a feather ! Brilliant ! An excellent product. We were using the sam tog duvet, but a different make (also from Out of Eden). I found I would often sweat a lot in the night, I and I just thought it was me, but with these new duvets, I don't sweat at all, so I recommend this make 100%. This is a quality product. Feels really soft. Nice and light for summer but still substantial enough to cuddle into. Good quality item, and the box construction ensure the filling doesn't bunch up. Looks great on the beds and the guests love them.